Hucking into XXL Dungeons isn’t for the faint-hearted. That drop, riddled with steps, is met by a speedy section and, likely, a hefty close out. When it pays off though, it is damn impressive. And, a little way back, The Rebel Sessions aka South Africa’s big wave event went down at that arena. You’ll remember the format? Hellmen get fully stuck into a Dungeons session, the vids and pics are then examined and a mix of the judges and competitors choose the winners – which were announced over the weekend. Up for grabs? A share of R100,000. And the conditions? 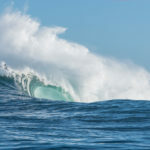 Well, the 20 foot plus waves that slammed Hout Bay, Cape Town were tricky, even by Dungeons’ standard, and the one award that virtually every surfer was in the running for was the Consequences award for the Worst wipe out. It was a close call but, in the end, the R10 000,00 prize money went to Kommetjie local Dougal Patterson who took off on a beast early on in the day, hit a bump midway down and ended up skipping down the face before the heaving lip slammed into him. The award for Motivation goes to the Rookie of the Session and it was 23-year-old Swedish national Odd Perssons who pocketed the R15 000,00 for his efforts on the day. 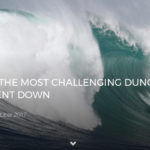 Odd’s only been surfing the Dungeons for the last couple of seasons but his enthusiasm for riding big waves was evident as he racked up a high wave tally and surfed with guts and skill making him a deserving winner. 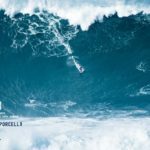 The top two prizes; Inspiration, for the biggest wave ridden and Dedication for the waterman of the session award, both had long-time Dungeons standout Mike Schlebach and new big surf sensation Matt Bromley in the running. In the end, it was Matt Bromley who took top spot and R50 000,00 for the Waterman of the session award, rewarding him for consistently catching the biggest and best waves and surfing them with style and grace. 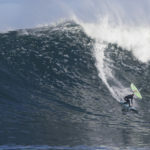 While Mike took the R25 000,00 for the Inspiration award for surfing the biggest wave of the day. 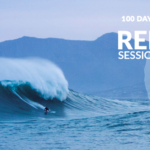 Rebel Sessions is Rebel Media’s way of recognizing and rewarding the fearless big wave chargers of Cape Town (and the world) who test their limits in the heaving surf at Dungeons every winter when the fierce south Atlantic storms bring her to life. 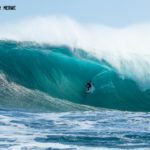 Invited surfers cast their votes, while a team of judges, headed by renowned local big wave champ Ian Armstrong, reviewed the footage and photos before rewarding the standout chargers of the day. The team over at Rebel Sessions would like to thank supporting sponsor RRD (Roberto Ricci Design) as well as NSRI (National Seas Rescue Institute) and the Waves4Change Organisation for their involvement and support.